When a Girl cries for a Boy.. It means that She misses him a lot.. 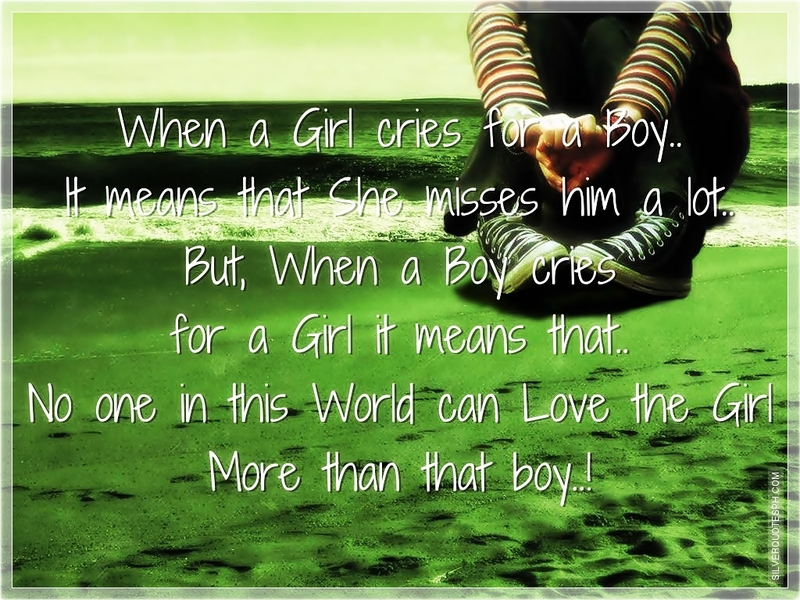 But, When a Boy cries for a Girl it means that.. No one in this World can Love the Girl More than that boy..!